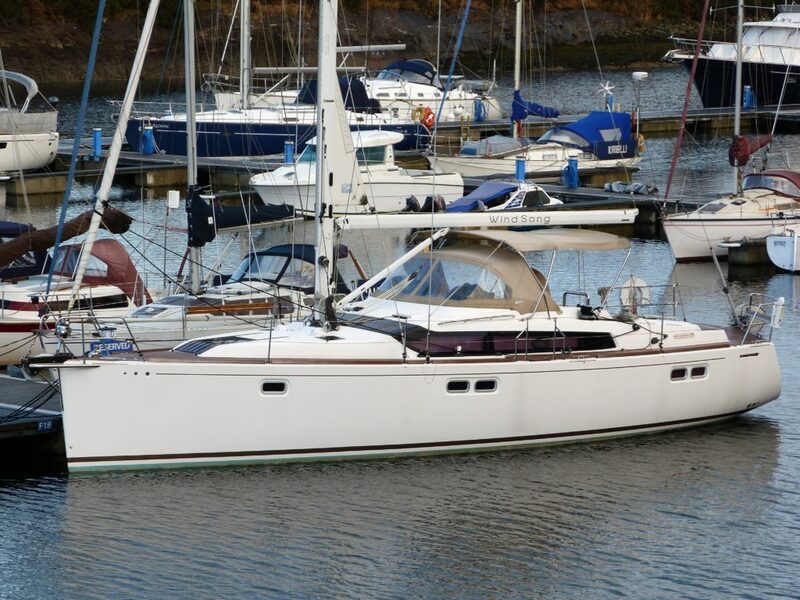 We are delighted to have been instructed to act in the sale of the Gunfleet 43 ‘Windsong’. On-deck she has been set up for single handed sailing with the electric in-mast roller reefing main and all lines being lead aft to the cockpit. Bow and stern thrusters making close-quarters manoeuvring exceptionally easy. Below decks the two cabin layout provides luxurious, spacious accommodation with two large double cabins and an additional two occasional berths in the saloon.